The current research adds to the literature addressing police body-worn cameras (BWCs) by experimentally evaluating their effect on an interaction that has, to date, received relatively little systematic, empirical attention: police–eyewitness interactions. Although research suggests that BWCs generally have positive effects, legal scholars and media professionals have long argued that deploying cameras in this context may backfire, especially by chilling public willingness to speak with police. The current study utilized an online national convenience sample (N = 508) to test the effect of four factors that were varied across seven mock interview video conditions on participants’ willingness to cooperate, the amount of information provided, accuracy and confidence in an eyewitness identification task, and perceptions like procedural fairness and trust. We hypothesized that the presence and activation of the camera would have positive effects on the interaction. Regarding the factors, the manipulated presence of a recording camera had the most consistent positive impact. Whether the camera was present, and the participant’s awareness of the camera and the fact that it was recording were also tested, but these comparisons were less likely to reach statistical significance. Regarding the conditions, the best outcomes were associated with officers who turned on the camera and did not explain why. Conversely, the worst outcomes were associated with officers who turned off the cameras without explanation. 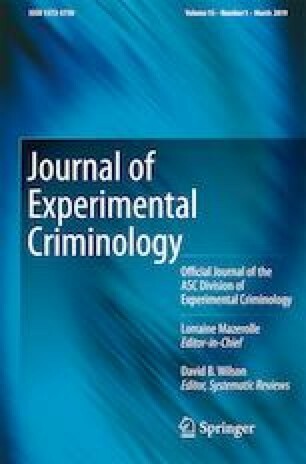 Our results suggest that the positive effects of BWCs may extend to police–eyewitness interactions and reveal no evidence of a chilling effect on eyewitness-relevant outcomes. The authors gratefully acknowledge Assistant Chief Ken Plaga and Officer Richard Grillo of the Meridian Township Police Department and Dr. Adam Zwickle for their help in designing and filming the condition videos. The authors are also grateful to Drs. Caitlin Cavanagh, Justin Nix, Sean P. Roche, and Scott Wolfe for their collegial support and feedback in the preparation of this manuscript. International Association of Chiefs of Police (2014). Model policy for body-worn cameras. Retrieved from http://www.theiacp.org/model-policy/model_policy/body-worn-cameras/.